Artificial vertical gardens can create a refreshing aura of nature in your events! This can be easily done with our exclusive range of Artificial Boxwood Hedge Wall Mats – each adding a texture and greenery to the walls of the venue. Many party organizers are opting for these Artificial Boxwood Hedge Mats for banquet halls, restaurants, party rental halls, corporate offices, and even catering halls. 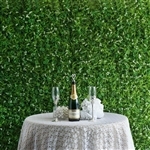 These Hedge Wall Mats can be easily installed to create the illusion of greenery. Many famous restaurants or hotels around the world rely on what type of ambiance they offer. 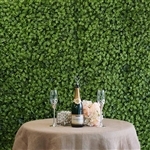 Our bulk-priced Artificial Hedge Wall Mats will create an optimistic vibes at your events like weddings, birthdays, graduation celebrations, luncheons, anniversary celebrations, engagement parties, business events and cocktails parties. 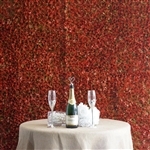 Take time to have a look at our impressive Hedge Wall Mats available in a range of beautiful colors. 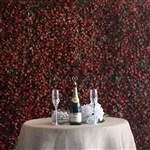 These Boxwood Hedge Wall Mats can give you a soothing and echo free atmosphere.